Choosing LED grow lights for your cannabis is not to be taken lightly! There are plenty of factors to consider. But don’t worry, we’ve made it quicker and easier by creating a list of LED grow light reviews. By finding out all about the best products on the market, you’ll be able to narrow down your options. Combine this with our in-depth buying guide which is packed full of tips on features, advice on weed growing and an extensive FAQ section, there’s no reason for you not to be an expert on the matter! Let’s get started then! The Advanced Platinum Series P600 are among the most powerful LED grow lights available to consumers today. Yet this is just one of the reasons why we think that this is one of the best on the market. First of all, let’s talk output. 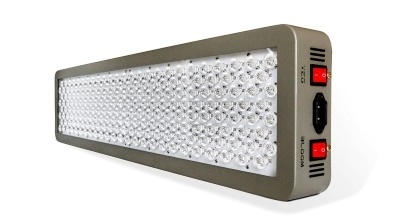 Offering the highest PAR per watt of any grow light, it also features a 12-band spectrum. This means that you can expect excellent yield with minimum power usage and heat. So if you’re looking for LED grow lights that are high in efficiency, you can’t go wrong with the P600. The dimensions of the unit are 36” x 8” x 3”. Therefore, it can provide 6ft x 4ft coverage at a height of 18-inches. If you’re able to stretch your budget, go for several of these units and you’ll be able to grow some impressive crops! The 12-band spectrum produced by the P600 is the secret to the success of this product. This offers a complete blend from low UV to high IR which is exactly what your cannabis plants need. The LEDs used are US-made so you can expect them to be of high quality. This is reflected in their lifespan which is some 100,000 hours (up to 8-10 years). When you combine all of these advantages with the 5-year warranty and 90-day money back guarantee, you’ve got an unbeatable combination! The only drawback is the price which may be out of reach for those on more limited budgets. We think they’re well worth the investment. Coming in at a slightly more affordable price than the P600, the Advanced Platinum Series P450 still offers fantastic quality to cannabis growers. The only difference is that this model has 450 watts rather than 600. Naturally, which unit you choose is down to the size of the crop you want to grow. You can expect 2-3x the intensity of other lights due to the high PAR output per watt. In order to flourish, crops really need the full light spectrum. The 12-band spectrum of the Advanced Platinum Series P450 is complete and efficient, taking plants through each stage from seedling to final flower and harvest. Despite the power offered by the P450, it’s remarkably efficient. Heat is minimal compared to other products on the market and this is in part down to the aluminum cooling heat sinks and the high-speed fans which do a great job of keeping the unit cool. What’s more, the fans are very quiet when in operation. The 5-year warranty that comes with this product is among the best in this particular market and there’s also a 90-day period in which you can return the product if you’re not satisfied. Having found that some consumers experienced issues with goods damaged during shipping, such a warranty may come in handy! Overall, this is a worthy runner-up! 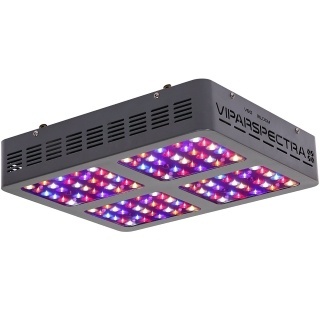 Compared to the Advanced Platinum Series P600 and P450, the ViparSpectra Reflector V600 is very affordable and the best LED grow lights for the money. Also providing a full spectrum of light, it can help weed grow from seedling to final flower. The 300W reflector features 5W LED chips that provide plenty of light. This is boosted by the reflectors across the diodes which help increase both coverage and density. One of the main advantages of using LED lights for your growing is that they’re very efficient. In this case, the V600 runs at 600W but only consume 276W. This can obviously help you save money compared to other growing light solutions. When you buy LED grow lights, you want them to last a long time. Much of this is down to the cooling system in place. In this case, aluminum cooling heat sinks and 4.72-inch fans prevent overheating and offer improved efficiency. With dimensions of 3 x 12.6 x 15-inches, the V600 is ideal for a 3×3 growing area. However, they don’t offer the widest coverage so they’re only really suitable for small grows unless you buy multiple units. If you’re not satisfied with the product, there is a 30-day return guarantee. What’s more, there’s a 3-year warranty which certainly provides some peace of mind. 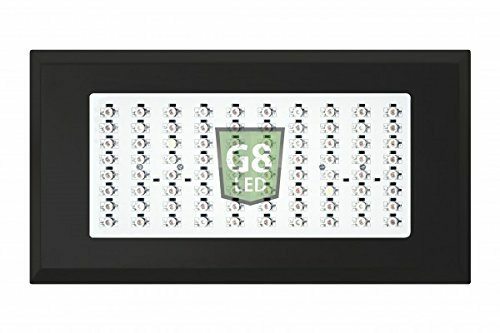 Featuring an optimal 8-band as well as infrared and ultraviolet, the G8LED 240 is another great option to consider thanks to its excellent efficiency. Heat isn’t an issue with this product as it has three fans which work very well even for extended periods of time. We’re impressed with the quality of this product for the price. The LEDs are made in the USA and produce not only high-quality plant growth but also high yields. With dimensions of 16 x 8.5 x 2.5 inches, there’s a cannabis coverage of 3×2 feet. Thanks to its relatively small size, the unit itself is portable and weighs just 8 lbs which makes installation much easier. Another advantage of the G8LED 240 is that it’s a well-constructed product with a durable build. It’s nice to know that it comes with a 2-year warranty. One area in which this product could be improved is the fans. While they work well in keeping the unit cool, they’re very noisy compared to some other products on the market. With regard to the growing cycle, the G8LED 240 has a veg and flower light for the entire growing cycle, offering penetration of up to 60 inches beyond the canopy. With few disadvantages, this is another great option to consider, particularly with the very good customer service offered by G8-LED. 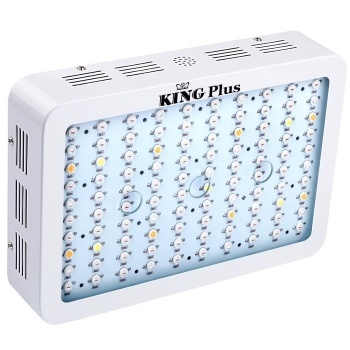 Also at a price to suit those on a budget, the King Plus 100w features a full spectrum with ultraviolet and infrared. This covers all stages of the growing cycle The 10W double chips on the unit offer more than enough brightness for growing cannabis and offer a lifespan of up to 50,000 hours. What’s more, they’re energy saving since they consume just 185W. This product has dimensions of 12.2 x 8.26 x 2.36 inches which means that it’s fairly small and best suited to smaller grows unless multiple units are purchased. 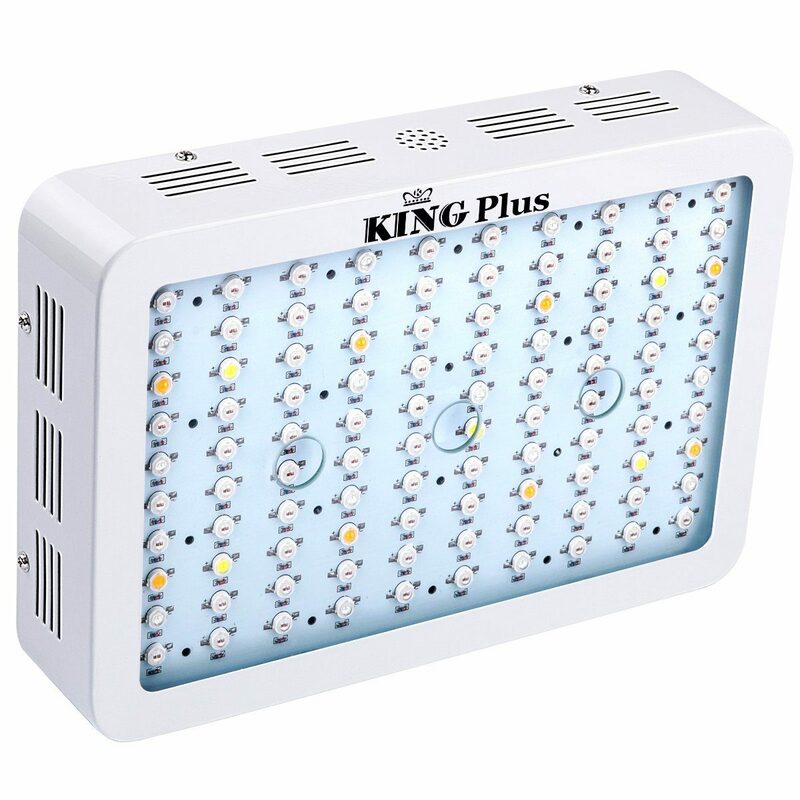 It’s important to have a good cooling system with your LED grow lights and, thankfully, the King Plus 1000w has this. However, the fans are on the noisy side which is something to keep in mind. In particular, we’re very impressed by the range offered by this product. The light is very bright and the results produced are excellent for the price. Add to this the 3-year warranty and you’ve got another bargain option to consider! One small concern is that there are a number of consumers who have received defective products. As such, you should be careful about where you buy the King Plus 1000w. Now that you know about 5 of the top picks on the market, it’s time to take a look at our buying guide! Here you can find out about the various pros and cons of using these, things to consider before buying (such as budget and warranty) and key features to look out for including the LED bulbs and cooling fans. LED lights are very efficient thanks to their long lifespan and low power consumption. The obvious advantage of this is that you can save a lot of money on your electricity bills! Even if you buy multiple units, the bills will still be much lower than alternative methods. As mentioned in the previous pro, LED lights have a long lifespan. As such, you don’t need to buy them often! This saves time and money and lets you concentrate on growing! In fact, some LED bulbs can last for tens of thousands of hours. All you need to do is hang your LED grow light and plug it in! There’s no complicated, time-consuming setup to contend with. In contrast, HPS reflectors are much trickier to set up which makes them less suitable for beginners. Because fewer watts are consumed, LED lights don’t get as hot as alternative light sources. Cooling systems also help a lot in this respect. This means that there is less risk of plants or the unit itself becoming damaged from overheating. Because LED bulbs tend to be small, grow light units are of a compact size too! This means that they take up much less space. They’re also lighter as a result and easier to set up. From tiny grows to much larger projects, you can find products for everything. While LED grow lights tend to be more expensive to purchase than HID or fluorescent lights, they are at least cheaper to run long-term. This, as mentioned above, is due to their excellent efficiency. We’re also seeing cheaper LED lights as technology advances. LED lights are sensitive to high temperatures. This can result in weakened light quality or even failure. It’s therefore vital that you choose a product that has a good heat sink and fan system such as those listed earlier! These products vary in size and shape. As such, you’ll want to consider the type that you buy in advance. This will mean that you can find the one that best fits the grow size that you have planned. It could be anything from a single plant to one that requires several LED grow light units. All of the products that we’ve reviewed assist with all stages of growth. You should look for full-spectrum grow lights that can aid your cannabis plants from seedling to final flowering. 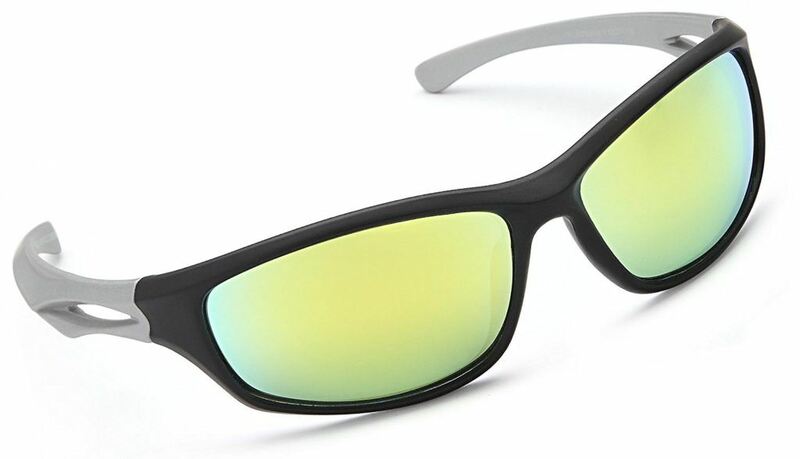 With the use of UV and IR, they mimic real sunlight. Not only this, they also cost less to run and rarely suffer from overheating. Setting the right temperature for your marijuana plants is something of an art in itself! 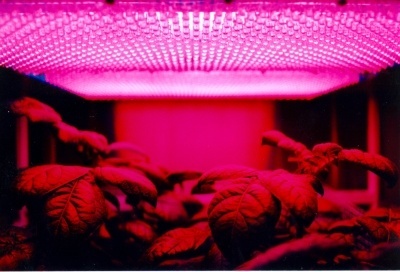 Some grow light solutions are more volatile when it comes to heat. This is dangerous since temperatures that are too high can damage plants. Thankfully, the best LED grow lights are well equipped with aluminum cooling sinks and fans. One of the most important things for you to consider is budget. This defines the quality of the LED grow light that you can buy. If you’re on a limited budget then you don’t need to worry. The products we’ve reviewed cover all possible price ranges. We recommend that you opt for the best that you can realistically afford. Equally important is the warranty of your LED grow light product. In our opinion, the warranty should be at least 2-3 years. Some of the very best products offer as much as 5-year warranties. There may also be a return period in which you’ll have a specific number of days to return the product for a refund if you’re not satisfied. The weed growing advice section is your place to find out everything you need to know about growing cannabis. By combining this with your new-found knowledge of great products and factors to consider, you’ll be well on your way to getting great yields! Full spectrum LED grow lights are becoming the most popular option of the two. While they cost more initially, they can save you a lot of money over time on electricity bills. Also, they don’t emit as much heat which means less risk of burning plants! HID grow lights used to be the most popular option. You typically need two types of HID lights: MH (metal halide) and HPS (high pressure sodium). Because they emit a lot of heat you will need a very good ventilation system. Overall, we feel that full spectrum LED grow lights are the best option nowadays. Also, there are a lot of myths when it comes to lights and their effects on plants. Before buying I’d recommend reading this article where a lot of those myths are debunked. 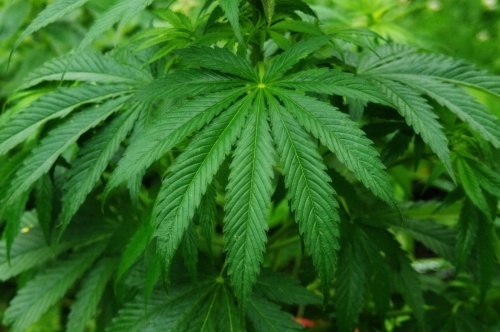 It may be news to you that cannabis plants actually have a gender! You cannot determine the gender of a seed or plant until the end of the vegetative stage at least. The reason you may wish to know the gender is that only female plants produce bud. It’s a good idea to get rid of male weed plants as they can contaminate the females. When you buy marijuana seeds, 50% of them will be male and 50% female. Like with any other plant, growing pot requires a degree of patience. It takes approximately 3-4 months before it can be harvested. However, it may take even longer depending on factors such as your setup and your grow size You should allow a week for drying and 2 or more weeks for curing. But don’t wait too long – there are also issues with leaving it too late. We also recommend watching this YouTube video that shows the process of growing weed with LED grow lights. The video provides a lot of great advice that will come in handy. It would be remiss of us not to mention the most important piece of equipment! After all, this is what the whole article is about! Be sure to check out the great LED grow light products reviewed above. Remember that LED grow lights can come in all sorts of shapes and sizes and the more expensive the product, the better the quality of each and every feature. It’s no use having an LED grow light without marijuana seeds! You’ll want to find a safe and trusted seed back online. 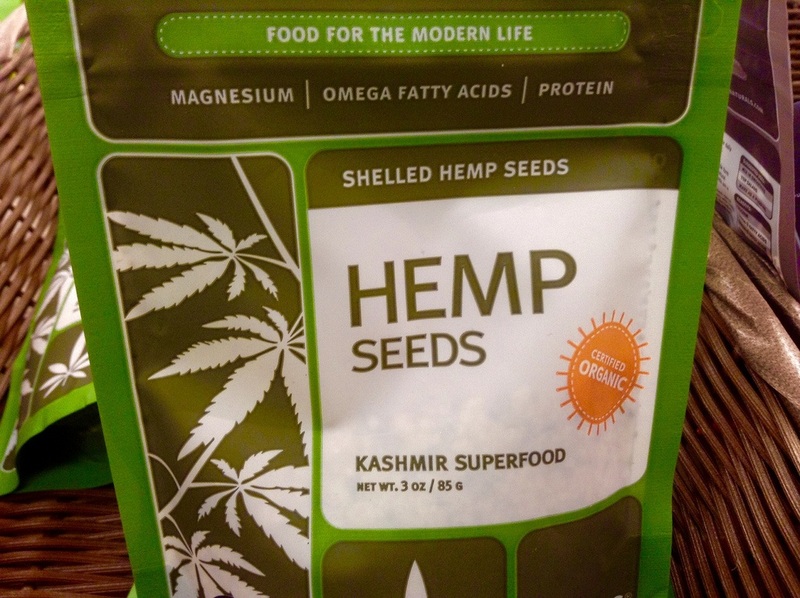 Remember, it’s not legal to buy marijuana seeds in some countries. As such, you should check local laws before doing so. Our advice is to find a discreet provider with discreet payment methods and shipping. You’d be surprised by how many different pots there are for pot! These come in a wide range of sizes. Combine a good pot with the right soil and you’ll be well on your way to some great quality weed. With regard to soil, you should get the best you can from your local garden centre or DIY store. You can even use nutrients to help boost your plants. Your cannabis plants require good ventilation in order to grow properly. Thankfully, most of the top LED grow lights have such systems in place. However, it can’t hurt to have an additional fan or filter in order to not only help circulate air but also hide the smell of the plants when you’re trying to be discreet. While there is an additional cost to such things, it’s well worth it in the end. Unsurprisingly, hangers allow you to hang up your LED grow lights. The bigger and heavier your LED grow lights, the better the hangers you should invest in. Try to look for those that have metal gears and can support a heavier weight than you require. They should be adjustable and user-friendly, allowing you to get on with actually growing your plants! And don’t worry, you can use hangers in almost all grow tents. The importance of eye protection cannot be understated. Grow glasses are particularly important when using powerful LED grow lights. Just as you might wear sunglasses to protect you from natural UV, it’s wise to do the same with the UV of LED grow lights. This will make you safer and more comfortable. There are plenty of options out there on the market. Be sure to check the lens shade to avoid getting one that is too dark. We highly recommend the Apollo Horticulture UV400 LED. A grow tent provides a number of benefits when growing marijuana. A good tent keeps the bright light and plant smell inside the tent for more discreet growing. The inside of tents are reflective which directs all light to your grow. There should also be ventilation openings as well as openings for electric cables. We recommend the Apollo Horticulture grow tent. If you’re interested in learning more about grow tents, and our top picks, you should read our comprehensive grow tent buying guide. 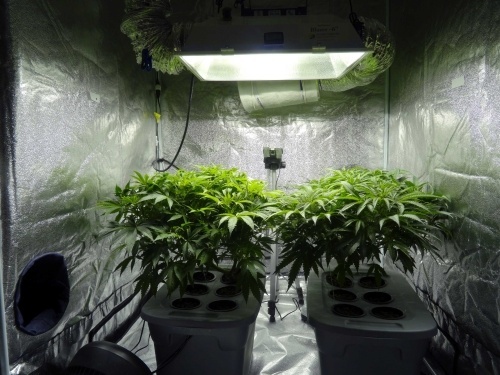 Since you’re going to be using LED grow lights, you’ll be using an indoor space. This is great because indoor growing gives you greater control over everything. However, indoor growing does require a great deal of research and knowledge (thankfully, there’s plenty of this here and elsewhere online). 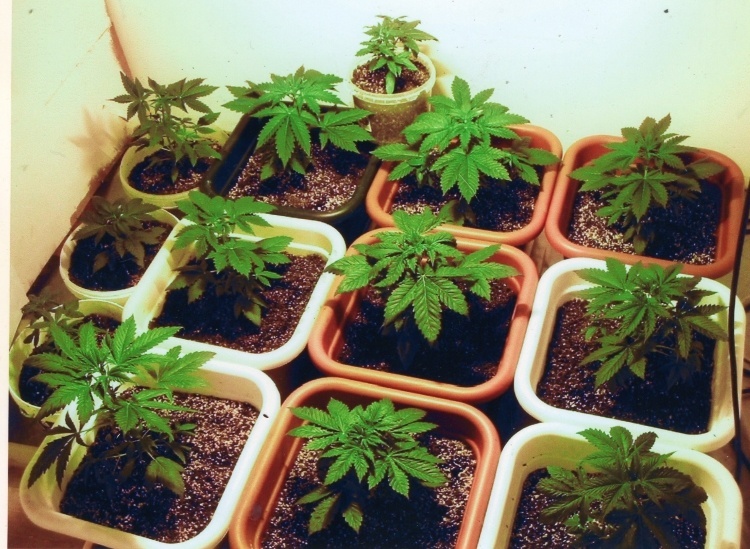 In theory, you can grow weed in a spare room, garage or even a closet! If you’re new to growing then growing inside a tent is a good idea. This immediately improves the environment for your marijuana plants. Consider the temperature of your grow space and make sure there’s enough ventilation. You’re ready to start growing! Here are the most important steps for you to follow. Seeds require a warm, wet place for growing. Plant them a knuckle deep into moist soil. Of course, they will need your LED grow light as well! Be sure to keep a good eye on them until they are growing new leaves. At this point, they are transferring into the vegetative stage. During the vegetative stage, your plant will get bigger and stronger. It will grow new leaves but no bud as yet. Plants in the vegetative stage should have at least 18 hours of light per day as this simulates summertime. Caring for cannabis plants in this stage is relatively easy. You need to provide water, light, maintain a comfortable temperature and allow for plenty of air circulation. The flowering stage is when you can see which of your plants are male or female. Those that start to flower are female. In order to achieve the flowering stage, you’ll need to provide your plants with a winter cycle of 12 hours of light and 12 hours of dark. Harvesting is an important stage because it plays a big part in everything from the taste, smell and even the effects of your pot. You don’t want to harvest too early as it can reduce your yields. Also, buds that are harvested early can provide headaches and anxiety. So patience is definitely a virtue when it comes to this stage! Here you’ll find an assortment of hints and tips in order to get the best yields from your pot plants! Cannabis plants enjoy similar temperatures to us! In general, the temperatures they experience should be a little warmer at around 70-85 degrees. Keep in mind that the LED grow lights you use can play some part in the temperature. However, for the most part, these units run cool compared to other grow lights. It’s a fine balance trying to prevent your grow from being too damp or too dry. It’s recommended that you aim for a humidity level of anywhere between 40-60%. The plants tend to prefer a more humid environment except for the end of the flowering stage when a dryer environment is better. By using a number of fans, you can help circulate fresh air and CO2 to all of your plants. Good LED grow lights have fans but these are intended to keep the unit itself cool. Make sure that the fans don’t blow too strong as this can result in leaves that curl and die. Being discreet when growing weed means that you need to control the unmistakable smell of the plant. As such, you may well need to purchase carbon filters or odor neutralizers in order to combat this. This may well help you prevent any potential problems in the future. Connected to the previous point, being stealthy can never hurt. This includes not telling everyone about your grow, buying from trusted sellers and (as aforementioned) masking the smell of the plants. It’s better to be safe than sorry! Unusual coloring: For the most part, your leaves should be green and healthy. You may have the occasional leaves that turn yellow or brown. These are dying leaves and tend to be those that are older and lower down on the plant. Anything more than this and there may well be a problem. Curling/Dying leaves: It’s not unusual for your plant to lose a leaf every day or two. However, it should not be losing more leaves than it’s growing at any point. Checking on plants regularly can prevent any from deteriorating too much. Bad smell: A bad smell may suggest bacteria, mold or rotting. You should check your plant well to rule out these problems. 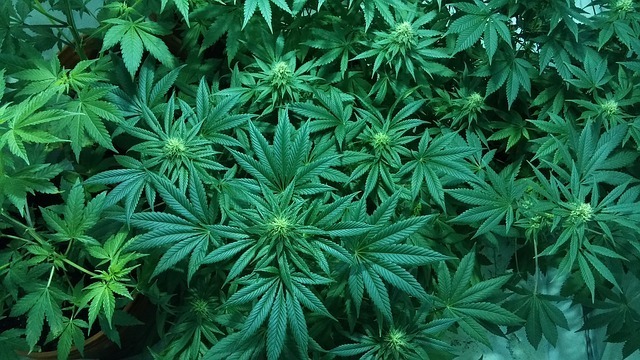 Note that it is normal for your plant to smell a little different towards the end of the flowering stage. Slow growth: If your plant is barely growing then there may be a problem with one of the following: temperature, light, nutrients, air circulation, watering or even bugs or mold. Try to assess each one so that you can narrow down the possibilities. Depending on the problem, you may or may not be able to fix it. Insects: It’s fairly obvious that insects are not good for your plants and can damage them. Some signs to look out for are eggs, spots and mucus trails. Insects can cause huge problems for your harvest. By taking great overall care of your plants, insects shouldn’t become an issue. Stretching: If your plant is stretching, it means it’s growing unusually tall. It should be bushy with lots of leaves. Stretching means that there’s not enough light and that the plant is seeking more. A good LED grow light means that this shouldn’t be an issue! Your grow will receive plenty of light and grow as intended. Did we leave anything out? 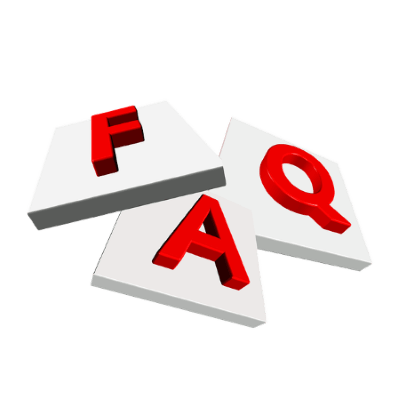 If so, you’ll probably find it right here in our weed growing FAQ! How do I know if cannabis seeds are any good? Making mistakes when growing weed isn’t unexpected. That’s part and parcel of being a beginner. But there’s no excuse for not having great quality lights (as evidenced by our reviews above) and cannabis seeds. As seeds get older, the chances of them germinating successfully reduces. Go for fresh seeds and plant them as soon as you can. Can LED grow lights burn cannabis buds? Yes, this is a possibility. However, it will not happen if you take the necessary precautions. Grow lights are powerful but the best ones still don’t produce too much heat, particularly those with good ventilation systems and fans. It’s important to keep your LED grow lights the correct distance from your plants. And make sure there is plenty of ventilation! 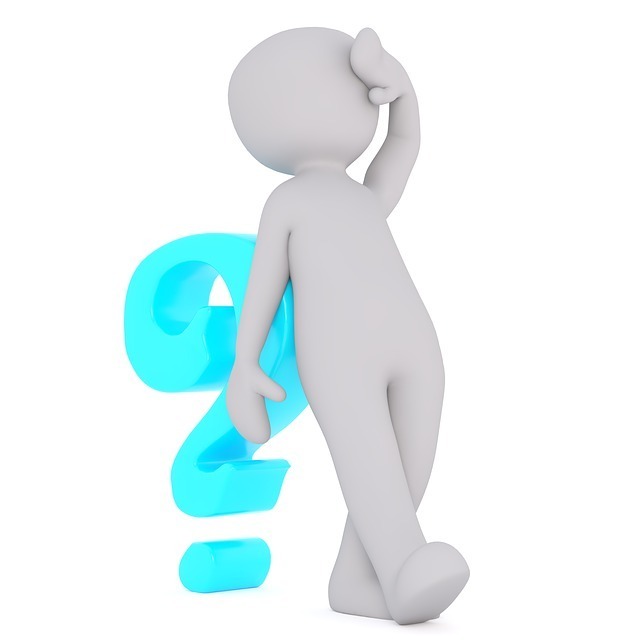 It’s good that you ask yourself such questions beforehand as you can then better plan for it! How many plants you want to grow will determine how many LED grow lights you require. You should limit the number of plants you put under a single grow light. Otherwise plants won’t get enough space or light with which to grow. Limit yourself to a maximum of 8 plants per LED grow light. Why is one plant growing slower than the others? One plant may be getting all of the same treatment as the others but still struggle. This could be down to one of several reasons. For example, older seeds are less reliable. Alternatively, it may have been down to overwatering or the pH being off. If you simply cannot find the source of the problem, you may be best off just getting rid of that particular plant and focusing on those that are thriving. How can I tell which cannabis plants are male? Because only female cannabis plants produce buds, it’s important to be able to identify the two. Male plants grow pollen sacs which is the easiest way to recognise them. As such, you can let them grow if you wish or simply get rid of them and concentrate on the female plants if you’re in it for the bud! Can a cannabis plant really get stressed? Yes! If the chemistry of a cannabis is imbalanced then it can become stressed which can lead to problems. It’s therefore important that you provide it with a consistent environment. Don’t overwater or underwater. Maintain consistent light cycles (use a timer if necessary). Ensure that temperatures are at a steady level that the plant is comfortable with. How tall can a cannabis plant grow? You’d be amazed how tall some weed plants can grow. It’s really down to your setup! When you grow weed indoors, you’re in charge of everything. As such, you can have cannabis plants that are all sorts of shapes and sizes. If you’re wanting something big then you’ll have to prepare for this by buying a tent and pots of an appropriate size. How often should I water my weed plant? By pressing a finger on the soil of your plant, you can better gauge whether it needs watering. If the soil is dry then it can probably do with a water. You can monitor the situation by checking the leaves. If they start to show even the slightest signs of drooping then it’s time to give them some more water! Do I have time to be able to grow weed? This is a sensible question. After all, you don’t want to invest in all of the various equipment and find that you don’t have the time to properly care for your marijuana plants. If you don’t have much time, you should make sure you have good quality equipment. Make sure light cycles are set by timers just in case you can’t be there to make the change yourself. What can I expect the electricity bills to be like? The cost of electricity really depends on where you live. The good news is that LED grow lights are much more efficient than other light sources and are therefore cheaper to use. You may also need to factor in the output of any fans that you’re using. Certain electricity companies offer cheaper electricity during off-peak times such as at night. You could set your daytime lighting cycles for night and save money! Hopefully, you now feel like an expert in not only LED grow lights but also in growing marijuana! We recognise there is so much to consider when choosing an LED grow light. There are so many great products out there with different shapes, sizes and features to explore. Best of all, you’ll have no problem finding one that meets your budget. So if you’re looking for one of the top picks right now, we would recommend the Advanced Platinum Series P600. If you’re looking for a budget buy instead, that provides you a ton of value for the money, then we would recommend the ViparSpectra Reflector V600. As you’ll have seen, LED grow lights have far more pros than cons. They’re energy efficient, long-lasting, portable and much more. What’s more, while technology is constantly improving, prices continue to be more and more competitive. There’s never been a better time to invest in LED grow lights and we hope that you’re soon reaping the rewards! Hello there. 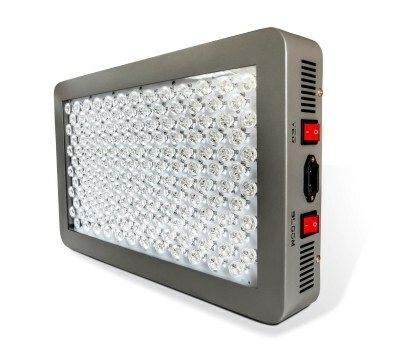 I’ve been looking at the BESTVA 1000W Double Chips LED Grow Light, and I am considering to buy it. Do you think that it is a great LED grow light? BESTVA manufacturers some great and durable grow lights. I can definitely recommend that specific one. It was close to making it to our top 5 list, but it’s definitely in our top 10. The G8LED 240 sounds promising. We’ll maybe add it to our garden setup soon. I can vouch for the Advanced Platinum Series P600, I’ve had it for a few weeks now, and it is the best LED grow light i’ve ever had in my grow room. Definitely one of the best ones on the market. Thank you for advising me to buy it. Glad that you like it my friend! Fine guide. Did you also review Amare Technologies yet? I’ve heard some say that they have some ok lights too. We’ve looked their lights before, but we we’re not super surprised. They were of mediocre quality. We can do some public reviews of them in the future if you want. Great choices. After reading your guide I bought the Advanced Platinum Series P600. It’s now been two weeks, and I can say that it has been one of my best purchases ever. Will these LED lights also work well for growing normal flowers/plants or is it only for cannabis? They’ll also work well for growing other types of plants. I’ve actually went ahead and tried growing sunflowers with some of these lights to great success. Thank you for this guide. I’m a new grower, and your overview made it a lot easier for me to make a decision. Hey I need some advice. This is one of my first grows ever. I have a tent that’s 120x120x200cm with 4 pots. Which LED can you recommend and how many watts? Try going for 60 watts per plant. Check out some of the models we mention in our guide above. How do you like the Morsen 50W lights? Is it worth considering? There are a lot of better lights out there. We are creating a review of this light in the near future though! That’s a okay one too. We may publish a review of it in the near future!